Verso Technologies, Inc. VRSO(Nasdaq: VRSO), a leading provider of packet based solutions, announced today that Splendor Telecom, an international carrier, has selected the Verso I-Master(R) solution to expand its suite of local and wholesale services in the Middle East, Europe, and Africa (EMEA) regions. Splendor will utilize the Verso solution to strengthen its position in the EMEA wholesale pre-paid market in addition offering to VoIP services. Splendor chose the I-Master system after considering several incumbent products, as Verso’s robust solution offered the highest level of stability and reliability, while streamlining revenue and billing issues. Verso’s I-Master solution provides a superior feature and services platform for service providers seeking to deliver voice and data services that increase revenues and promote customer loyalty, without sacrificing the revenue assurance of the pre-paid model. With a unique and intuitive interface, the Verso solution allows service providers such as Splendor to easily manage complex rating schemes required in a dynamic market like the EMEA Region. The I-Master solution uses an Oracle database running on the Solaris operating system to deliver maximum performance and reliability to service provider networks. Telcordia Technologies, Inc. continues to lead the transformation of the telecommunications industry by delivering software innovations that meet carrier demands in a dynamic business environment. The company today announced that Hydro One Telecom Inc., a provider of broadband telecommunications services to carriers, large enterprises and Internet Service Providers (ISPs), has selected Discovery, a new module of Telcordia(R) Granite Inventory, to perform network asset discovery and reconciliation to their existing Granite Inventory database. Hydro One Telecom is an innovative carrier that currently offers Transparent LAN, Private Line, and Internet Transit Services to its customers. Discovery will “talk” to the IP, and SONET networks that provide the foundation for these services by supporting 12 different types of equipment provided by five different vendors. In addition, Granite Inventory with Discovery will help Hydro One Telecom easily scale to accommodate over 1,000 network devices. Telcordia Granite Inventory is an award-winning, fully J2EE compliant solution that provides an open and flexible data model that stores the entire multi-vendor, multi-technology network image of sites, equipment, configurations & services, and automates service & network provisioning. The Discovery module (Discovery), now available as an integral component of the Telcordia(R) Granite Inventory system, provides discovery with reconciliation to the Granite Inventory database for next generation technologies and services, including optical, SONET/SDH, ATM, Frame Relay, DSL, Ethernet, IP, 3G, GPRS, MPLS, GSM, UMTS, CDMA, and WCDMA. Discovery sits on the Granite application framework (GAF), providing a tight integration of the discovery software with the entire Granite Inventory product suite. This allows customers to deploy the discovery capability without paying an up-front “integration tax”. In contrast, other vendor solutions require costly and time-consuming development work before launch, thus indefinitely extending ROI and payback periods. Telcordia Granite Inventory has proven performance and production ready credentials in Tier 1 operators around the world. More information on Telcordia Granite Inventory and other Telcordia solutions can be found on the web at www.telcordia.com. Comverse Technology, Inc. (NASDAQ: CMVT) today announced that Comverse Inc. completed its acquisition of the GSS division and certain related assets of CSG Systems International, Inc. (NASDAQ: CSGS), for approximately $249 million in cash, subject to certain post closing adjustments. The combination of GSS, a leader in software-based billing solutions, with Comverseâ€™s Real-Time Billing group is expected to expand significantly Comverseâ€™s addressable market, and enhance its leadership position in the emerging converged billing market, serving wireless, wireline, cable, satellite, and Internet-based service providers. GSS brings to Comverse a broad suite of software-based billing solutions, supporting the voice, data, video, and e-commerce offerings of approximately 150 service providers, including wireless, wireline, cable, satellite, and Internet-based companies. GSS customers include, among others, Bharti, British Sky Broadcasting, BSNL, BT, China Telecom, eBay, France Telecom, O2, Telecom Italia and certain Vodafone entities. The combination of GSS and Comverseâ€™s Real-Time Billing group is expected to result in the creation of a leading supplier of converged billing solutions, and one of the leading overall suppliers of billing solutions for wireless and fixed service providers. Emblaze Ltd (“Emblaze or “the Group”) (LSE:BLZ) announces that its Group company, Adamind Ltd (“Adamind” or “the Company”) (LSE:ADA), a leading global supplier of media adaptation software in the Mobile Messaging (MMS), Content and Convergence Services markets, together with LogicaCMG and Optus, a multi-million dollar contract for the deployment of a world-first end-to-end content management solution. Optus, a leading telecommunications operator in Australia, has deployed a state-of-the-art content management solution that includes search, digital rights management (DRM) and transcoding. LogicaCMG has been appointed the prime contractor of this new solution, delivering solution design, project management, software implementation, systems integration, migration, and ongoing support for a consortium of global partners. Adamind’s MediaSpire software which sits at the heart of LogicaCMG’s MMSC will be adapting all content to be delivered to any handset within Australia. LogicaCMG’s extensive industry expertise made it an ideal supplier for Optus. Its systems deliver two out of every three text messages and its messaging and billing solutions are deployed by 300 of the world’s top operators in over 130 countries. LogicaCMG’s end-to-end service works with clients to design robust business models and service infrastructures, harnessing global experience as a leading systems integrator. LogicaCMG’s innovations have been helping to make and shape the global telecoms market for more than 30 years. Having deployed the world’s first and only fully integrated 3G IP-based messaging solution and migrated more than 50 operators to an IP-based messaging environment, LogicaCMG’s expertise enables operators to assure innovation in Next Generation telecoms. Tango Telecom, the leading provider of convergent charging and intelligent messaging solutions, today announced the successful deployment of the Tango CCN as part of two compact cellular networks Alvarion installed for telecommunications provider, Outremer Telecom. The deployment will provide real-time data services to the islands of Martinique and Guadeloupe and French Guiana. The Tango CCN was deployed to enable real-time GPRS charging for prepaid and postpaid subscribers. The Tango CCN provides real-time metering and control of GPRS traffic and content for Outremerâ€™s prepaid subscribers, with a seamless integration to the Alvarion IN prepaid system. The CCN also provides billable CDRs for postpaid subscriber activities. â€œWeâ€™re delighted to work with Alvarion to deliver our charging solution to Outremer Telecomâ€, said Colm Ward, CEO of Tango. â€œWe expect that this first installation will lead to further joint opportunities on a global basisâ€, he added. MobilePro Corporpation (OTC Bulletin Board: MOBL), a wireless technology and broadband telecommunications company, announced today that CEO Jay Wright will be a featured speaker at the Telecom IQ MVNO Summit conference in Miami today, Dec. 7, at 11 a.m. Eastern. The MVNO Summit will be held at the Radisson Hotel in Miami. For more details, visit http://www.iqpc.com/telecomiq . MobilePro Corp. is one of North America’s leading wireless broadband companies, serving over 20,000 wireless broadband customers through its subsidiaries NeoReach Wireless and Kite Broadband. The company, based in Bethesda, Md., is focused on creating shareholder value by acquiring and growing profitable telecommunications companies, developing innovative wireless technologies and forging strategic alliances with well-positioned companies in complementary product lines and industries. MobilePro serves over 200,000 total customers throughout the United States, primarily through its CloseCall America, American Fiber Network, Kite Broadband and Nationwide Internet subsidiaries. Narus, Inc. today announced that it has signed an agreement with VeriSign, Inc. that allows VeriSign to offer the entire suite of Narus products to its global customer base as managed services or licensed software. This includes capabilities for security, traffic analysis and lawful interception. The first Narus product being offered by VeriSign is Narus LI for IP lawful intercept, one of the industry’s most comprehensive IP lawful intercept products for carrier-grade networks. The product has been integrated into the VeriSign NetDiscovery(TM) service — which is a cost-effective alternative to building an in-house proprietary lawful interception solution — that meets the legal, technical and operational requirements needed to support end-to-end compliance for circuit-switched or IP-based technologies. The service helps providers that are responding to requests for collection of subscriber information, historical billing, call detail records and real-time lawful interception. NarusSecure, Narus LI, NarusAnalyze and NarusMediate are part of the industry’s only complete, high-performance IP security and monitoring system that can be implemented at the network core to analyze and correlate traffic in real-time. The Narus system gives customers the power to dynamically secure their entire network, while managing critical next-generation IP services such as VoIP, IMS and IPTV. Narus enables the flexibility for carriers to quickly adjust to market trends and changing regulatory mandates while providing the infrastructure to manage, protect, and create new services — all on a single common platform. appliedlogx, a leading provider of communication infrastructure engineering, procurement and installation services to the telecommunications industry, has launched Virtual Operations Services (VOS), a web-based operations support platform designed to help telecommunications, cable and VoIP service providers deliver comprehensive services to the residential and business marketplace. Because traditional last-mile support typically required a physical presence to handle installation, trouble-shooting and ongoing customer service, outsourced installation providers were limited by their geographic scope. However, today’s advanced telecommunication technologies mean installation and repairs can often be handled remotely. VOS manages that process and, when on-site work is required, provides immediate access to a nationwide network of highly qualified technicians. — Order Management, a web-based ticketing program that creates service orders, provides auto-cost calculations and instant dispatch visibility, as well as manages in-process orders. The Order Management tool tracks items serviced and parts/labor used on an order, tracks exchanges for customer inventory and manages quality control. — Equipment Fulfillment, which provides online ordering capabilities, order tracking, multiple location tracking and purchase order status, and manages existing vendor relationships. The Equipment tool records automatic transfer per location, tracks serial numbers and MAC addresses, tracks login and passwords and delivery assemblies and kits. — Installation/Deployment, which captures all user information, manages parent-child relationships, provides quick information for deployment and manages a delivery flow based on FOC dates and CPE delivery. Through the Installation tool, users can quickly dispatch experienced technicians who possess all the current certifications and who have committed to following the appliedlogx Scorecard System, which measures and monitors each process and provides the feedback that is essential to successes. — Customer Service, which provides Tier One and Tier Two customer support, including the ability to conduct remote configurations and remotely capture call information on demand for analysis and repair. The Customer Service module also manages billing and finance, inside sales and quality control. VOS installation service offers flat rate pricing to its customers – a telecommunication industry first. It also provides a knowledge base to improve troubleshooting and decrease truck rolls. VOS service components can be purchased individually or as a complete operations platform. Based in Tampa, appliedlogx – http://www.appliedlogx.com – provides communication infrastructure engineering, procurement and installation services. The Company’s technical capacity extends from the telecom central office to the final communications infrastructures of end users. Customers include Verizon, Covad and Sprint, as well as end users installation for Starbucks, Dominos Pizza and Target. The Mobile Telecommunications Company (MTC) Group and Connectiva Systems, a leading provider of revenue assurance solutions to the telecom industry worldwide has won the prestigious World Billing Award – “Best Revenue Assurance / Management Project” — awarded by the Institute for International Research (IIR). 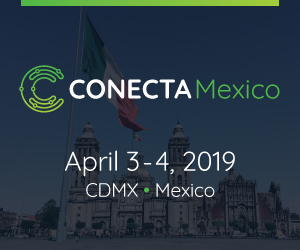 Connectiva Systems was awarded this recognition for implementing its ONEREViEW(TM) revenue assurance solution at the MTC Group, and demonstrating a compelling Return on Investment (ROI) for the project while delivering the desired functionality on time and under budget. Launched in 1997, the World Billing Awards are widely regarded as the highest recognition of billing excellence within the telecom industry. The winners were selected in April 2005 and the award ceremony took place on December 6, 2005 in Madrid. Connectiva Systems was named joint-winner with the MTC Group for the “Best Revenue Assurance Project” for 2005. Tekmark Global Solutions LLC, one of the largest privately held providers of information technology, communications and consulting services to companies worldwide, today announced that Bill Wanke has been named to the dual roles of Chief Operating Officer and Chief Technology Officer. Mr. Wanke fills these responsibilities after a remarkable 25-year career at Telcordia Technologies where he most recently served as the Senior Vice President of Telcordia’s Software Systems Organization. At Telcordia, Mr. Wanke managed a team of 2,000 software professionals, leading the organization to impressive results in productivity, quality and service delivery excellence. Previously, Mr. Wanke was the Vice President of several of Telcordia’s OSS business units with responsibility for business and software operations. Under his leadership, Mr. Wanke’s business units realized significant earnings increases. Mr. Wanke began his career as a software engineer and held several engineering and management positions where he directed OSS and network systems platform development. Wanke holds a Master’s Degree in Computer Science from the University of Southern California and a Bachelor’s Degree from the State University of New York at Buffalo. NMS Communications (NASDAQ: NMSS), a leading provider of technologies and solutions for mobile applications and infrastructure, today announced it is enabling application developers to build cost-effective, IP video over broadband applications with the introduction of its Video Access 2.0 mobile and IP video applications toolkit (http://www.nmscommunications.com/videoaccess). Video Access 2.0 works with NMS’s carrier-class CG series of high performance media processing boards, including the recently introduced CG 6565. In conjunction with the Video Access 2.0 toolkit, the company is also announcing its Video Transcoder 2.0 networked transcoding software (http://www.nmscommunications.com/VideoTranscoder), which can be used with the Video Access 2.0 toolkit or separately. Video Transcoder 2.0 enables enhanced streaming video capabilities that support CIF (common interchange format) screen resolution. The early market for video communications has been mobile video services using the 3G-324M mobile format. By extending video capabilities to broadband, Video Access 2.0 is dramatically extending the size of the available video communications market to include both wireless and wireline VoIP consumers. Analysts predict that by 2006, revenue for VoIP equipment alone will already be worth $5.7 billion, with a 60 percent growth rate expected by 2008. The advent of new SIP-based video phones allows developers using the Video Access 2.0 toolkit to attach themselves to that six billion dollar a year and growing market. With Video Access 2.0, developers can now deploy high performance video applications on either a 3G-324M or an IP network. When used in conjunction with NMS’s high performance CG 6565 platform, Video Access 2.0 is able to double the number of video ports provided. Video Access 2.0 includes support for CIF video streams from multiple vendors’ SIP phones, transcoding and transrating of CIF, video tromboning and streaming gateway support for SIP-based IP video terminals. Visual Networks, Inc. (NASDAQ: VNWK) announced today that it has entered into a definitive agreement to be acquired by Fluke Electronics Corporation, a subsidiary of Danaher Corporation, for $1.83 per share. Visual Networks will be included in the Fluke Networks business. The closing of the transaction is subject to Visual Networks shareholder approval, regulatory approvals and other customary conditions and is expected to occur during the first quarter 2006. Visual Networks, headquartered in Rockville, Maryland, United States, is a leading provider of network and application performance management solutions. The company’s technologies enable enterprises to reliably and securely manage the delivery and performance of key applications such as Voice over IP (VoIP) across their infrastructures. The company had revenues of $52 million in 2004. FairPoint Communications, Inc. (NYSE: FRP) today announced that it will transition from its current telecom billing provider to a new telecom billing provider. As a result of FairPoint’s settlement with its current telecom billing provider, the conversion process is expected to be completed at very little additional cost to the Company. FairPoint’s current billing provider has contracted to sell the software underlying the Company’s current telecom billing system and has agreed not to add any new customers to its service bureau platform. FairPoint has selected Mid America Computer Corporation (MACC) as its new provider of billing services. The MACC-Customer Master platform is currently running in 223 independent telecommunications companies. FairPoint estimates that the cost to convert all of its companies to the new telecom billing service provider will be approximately $5.5 million. FairPoint is due to receive $4.0 million from its current billing provider, and will not be required to pay $1.2 million in accrued but unpaid conversion fees. FairPoint expects to complete the conversion process for most of its companies by the middle of 2006, with all companies being converted by early 2007. The MACC-Customer Master platform includes features that will allow increased opportunities for FairPoint. These include enhanced target marketing capabilities, customized bills, and clear organization of customer data to assist customer service, sales and technical personnel. MACC’s systems and processes are known for good quality assurance and effective change management. FairPoint is a leading provider of communications services to rural communities across the country. Incorporated in 1991, FairPoint’s mission is to acquire and operate telecommunications companies that set the standard of excellence for the delivery of service to rural communities. Today, FairPoint owns and operates 28 rural local exchange companies (RLECs) located in 17 states, offering an array of services, including local and long distance voice, data, Internet and broadband offerings. Air Broadband Communications, Inc., an innovative wireless IP switch-router company, today announced that it joined the WiMAX Forum(TM), the industry organization that promotes the interoperability and certification of broadband wireless products based on the IEEE 802.16 standard. Air Broadband’s wireless switch-router solutions, based on IEEE 802.11 Wireless LAN and IEEE 802.16 WiMAX, are field-proven to provide fast layer 2/3 roaming and scalability in multi-cell networks, enabling real-time applications and management capabilities. Air Broadband’s wireless switch-router implementations for WiMAX ACR (Access Control Router) provide IP Mobility, multi-vendor base stations Compatibility, wide Scalability and per flow QoS (MCSQ(TM)) improvements needed for WiMAX deployment. In addition to participating in the WiMAX Forum, Air Broadband is promoting interoperability among different base stations as well as ACRs. Air Broadband’s antenna profiling technique allows operators to mix and match different base stations in the same region for any particular preference in performance and/or price. Nokia today announced its plans to expand its mobile device production in Dongguan, China. This expansion will provide more capacity and flexibility to meet the growing market demand worldwide, especially China and Asia. Dongguan is a strategic location for Nokia’s global supply network for mobile devices. Increasing capacity in Dongguan will help Nokia to improve its competitive position in the fast-growing Chinese and Asian markets. Nokia anticipates the factory expansion will begin production in the third quarter of 2006, and expects to ramp up gradually, with the work force reaching approximately 1900 employees when production is at full scale. The expanded production facilities will be located adjacent to Nokia’s existing facility. “Our already well-established presence in Dongguan made the decision to expand the manufacturing facility easy. Dongguan is an elementary part of our global manufacturing network as a cost-efficient and well-functioning facility, and we believe that the expansion will further benefit our customers in the highly competitive and rapidly growing Chinese and Asian markets,” said Raimo Puntala, Senior Vice President, Operations and Logistics, Nokia. Nokia currently has nine mobile device factories globally. In addition, the Nokia Chennai plant in India is planned to be operational in the first half of 2006. Nokia has six R&D units, four manufacturing sites and widespread operations in mainland China, Hong Kong, Macao and Taiwan. The total number of Nokia employees in China area is nearly 6,000. SunCom Wireless has selected Ericsson’s (NASDAQ:ERICY) Mobile Softswitch solution for its next generation core throughout the operator’s footprint in the southeastern United States. Additionally, the two companies will conduct IP Multimedia Subsystem (IMS) and Unlicensed Mobile Access (UMA) trials to prepare the operator’s network for next generation capabilities. Under the agreement, SunCom has begun to deploy Ericsson’s Mobile Softswitch solution to carry voice and data traffic in 3GPP Release 4- compliant network architecture. After just two months of installation and smooth implementation, the softswitch started full commercial operation in September; full deployment is scheduled for completion in 2006. Ericsson is also providing network design services, training and on-site support. The IMS trial will help SunCom prepare to deploy rich communication services – such as video telephony, conference calling, document-sharing web pages (collaboration) and presence management – in its IP network. Ericsson’s UMA solution, [email protected], allows the delivery of services from the mobile network – such as voice, voicemail, SMS, MMS and GPRS – using broadband and unlicensed radio spectrum such as WiFi or Bluetooth. “The network enhancements this architecture supports will help SunCom achieve convergence between the circuit-switched and packet-switched components of its networks, which is necessary for an efficient evolution to all-IP,” Ruiz adds. Ericsson was the first vendor to deploy softswitch solutions for telephony networks and leads the industry with 55 fully commercial networks. Today, Ericsson has 30 live, commercially deployed mobile softswitch networks on all continents. SunCom Wireless, based in Berwyn, Pennsylvania, is licensed to provide digital wireless communications services in an area covering 14.3 million people in the Southeastern United States and 4.0 million people in Puerto Rico and the U.S. Virgin Islands. BEA Systems, Inc. (Nasdaq: BEAS), a world leader in enterprise infrastructure software, today announced results for its fiscal third quarter. For the third quarter ended Oct. 31, 2005, BEA reported record total revenues of $291.5 million, up 10% from $264.4 million in last year’s third quarter. For the third quarter, BEA reported license revenues of $121.3 million, up 6% from $114.9 million a year ago, and services revenue of $170.2 million, up 14% from $149.5 million a year ago. For the third quarter, on a generally accepted accounting principles (“GAAP”) basis, BEA reported operating income of $49.7 million, compared to $49.7 million a year ago. BEA reported GAAP third quarter net income of$37.1 million, up 11% from $33.5 million a year ago, and GAAP diluted net income per share of $0.09, up from $0.08 a year ago. BEA generated third quarter cash flow from operations of $65.4 million, up 19% from $55.1 million a year ago. BEA reported third quarter non-GAAP net income of $42.7 million, up 17% from $36.5 million a year ago, and non-GAAP diluted net income per share of $0.11, compared to $0.09 a year ago. Non-GAAP results exclude certain acquisition-related expenses, net gains or losses on investments in equity securities, facilities consolidation and other non-recurring charges. A reconciliation of non-GAAP adjustments is summarized on pages six and seven of this release. For full details on BEA’s reported results, see the financial tables accompanying this release. Estimates for the year 2005 from Teleseeq, InfoComâ€™s market intelligence solution, show BT with the lowest market share among the 5 countries studied, dropping to about 66.6% from 67.3% in 2004. France Telecom will still hold a significant share of the market at 85.2% while Telecom Italia will have 83.9% of the market followed by Spainâ€™s Telefonica with 80.5% and Deutsche Telekom with 79.9% (all figures are based on a net revenue evaluation incl. wholesale activities). Teleseeq is a decision-making tool developed over a long history of data collection and analysis. Teleseeq provides comparable and reliable data at your fingertips to help you with strategic research and planning. Teleseeq ensures that you maintain a competitive edge in the telecommunications industry. InfoCom is a market research and consultancy company with almos 20 years experience providing strategic planning assistance to stakeholders in the telecommunications and multimedia industry. InfoComâ€™s independent and fact-based perspective on the telecommunications and multimedia environment contributes to decision makers understanding of market dynamics, trends and opportunities in the key markets. 3G Americas today announced that Telefonica Moviles, the second-largest multinational wireless operator in the world, is appointed to its Board of Governors effective January 1, 2006. Telefonica Moviles joins a distinguished Board that is comprised of seventeen leading operators and manufacturers who support 3G Americas’ mission to promote and facilitate the seamless deployment throughout the Americas of GSM and its evolution to 3G and beyond. 3G Americas’ Board of Governors members include: Andrew Corporation, Cingular Wireless (USA), Cable & Wireless (West Indies), Ericsson, Gemplus, HP, Lucent Technologies, Motorola, Nokia, Nortel Networks, Openwave Systems, Research In Motion, Rogers Wireless (Canada), Siemens, T-Mobile USA, Telcel (Mexico), Texas Instruments and, now, Telefonica Moviles. Umniah, as a new GSM/GPRS/EDGE operator in the Jordan market, has proven its capabilities by acquiring 200,000 plus subscribers in its first three months of operation. To gain market share, Umniah simplified and accelerated service activation and provided flexible convergent billing for its pre- and post-paid subscribers. Working with HP, Umniah deployed HP OpenView Service Activator to automatically configure network equipment to set up and manage mobile services. The solution enabled Umniah to deliver and provision new services more quickly — and consolidate provisioning on a single platform, which reduced cost and complexity. The HP solution also linked directly to Umniah’s customer relationship management (CRM) application, so subscribers can customize services in real time. With HP OpenView Internet Usage Manager, Umniah can mediate all billing data, pre- and post-paid, into its billing system and CRM application.